Today the World Academy of Sport (WAoS) announced its new division of Event Learning with the appointment of its divisional Director, Mr Apostolos Rigas. WAoS Event Learning brings together the current activities that the WAoS undertakes in the area of major event management, working with event owners and local organisers to further activate knowledge management initiatives. This follows the announcement last week of the launch of the IPC Academy Campus in Rio 2016 and the IPC knowledge Management activities to fall within the activities of the IPC Academy. Having pioneered the area of knowledge management related to sport events in 1999 as the architect and founding board member of Olympic Games Knowledge Services (OGKS), a joint venture with the International Olympic Committee, WAoS Director, Mr Chris Solly subsequently went on to establish the WAoS. 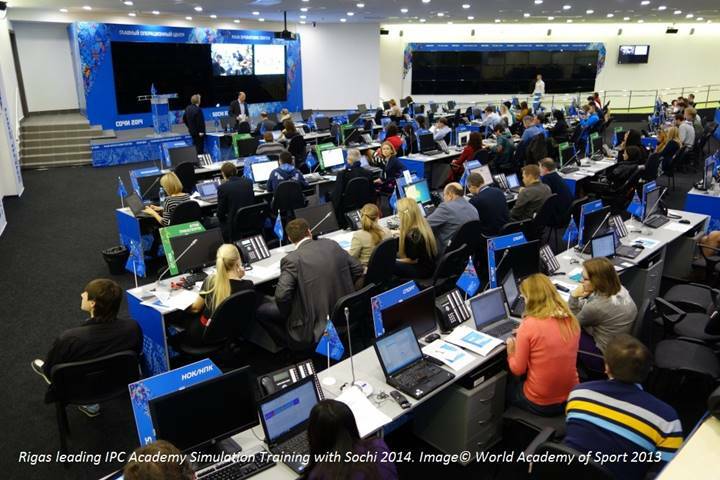 Throughout the past decade the WAoS has partnered with several International Sport Federations (IFs) to establish their own dedicated IF Academies creating tailored programmes specific to the needs of the IF, members and stakeholders based on rigorous learning methodologies and robust quality assurance processes. One outstanding success of such programmes has been the IPC Academy Excellence Programme and IPC Academy Campus programmes. These programmes have been specifically developed as a coherent learning journey for each OCOG through an intimate understanding of the event lifecycle, dedicated design & development of each learning input and a focussed team committed to creating a skilled event workforce able to apply specialist information to their various functions. Rigas joins the WAoS as Director Event Learning having been Head of Knowledge Management since 2005. With the IPC Academy undertaking all knowledge management activities for the IPC, Rigas will oversee these projects and continue leading the Knowledge Management function.